HIV & AIDS Information :: Can we achieve a complete HIV cure in more patients? Could we find a safe cure? What all the different approaches discussed in the previous two reports have in common is that they aim to put HIV infection into persistent remission. But they do not completely remove HIV from the body. Yet that is what was achieved in what is still the one case of a person cured of HIV. Researchers have not managed to find any trace of HIV in the body of Timothy Ray Brown, who attended a symposium presenting the main data from the Cure and Cancer Forum, nearly a decade after he was cured. How can we produce other Timothy Ray Browns? A cancer patient, Brown’s cure involved a hazardous bone marrow transplant that made him very ill and left him with some permanent nervous system damage. Nonetheless, experiments continue to induce the complete removal of HIV using similar transplant technology in patients with cancer and HIV, but using techniques that will hopefully be less chancy. In the HIV Cure and Cancer Forum (held before the IAS 2017 conference), Maria Saldago of the IrsiCaixa AIDS Research Institute near Barcelona in Spain presented results from ICISTEM, a cohort of patients with HIV and advanced cancers (mainly leukaemia and lymphoma) who have had bone marrow transplants. As such patients are rare, ICISTEM has only collected data on 23 patients, 11 of whom have died. Salgado presented data on the six patients in the remaining 12 who have had more than two years’ follow-up. In five of these six patients, the transplanted HIV-free bone marrow stem cells rapidly replaced the patient's cancerous and HIV-infected cells. Ultrasensitive tests can find no HIV RNA in the blood of these patients – their viral load, in short, approaches zero – and tests can also find no HIV DNA in their reservoir cells. In some patients, HIV DNA undetectability in reservoir cells happened within a month; in others, HIV DNA levels slowly declined over a period of up to a year. The key to full replacement by new cells appeared to be graft-versus-host disease (GvHD), a condition in which the grafted bone marrow cells ‘reject’ the body’s own cells as foreign – essentially the reverse of what happens in typical transplant rejection. This is normally a condition transplant doctors try to avoid, as it creates severe and in some cases lethal inflammation. In the case of these patients, and in Timothy Ray Brown, GvHD appears to have been an essential part of the process whereby their HIV-infected immune system may have been replaced by a non-infected one. In fact, it may be the essential step: although Brown was transplanted with cells from a donor who was naturally immune to HIV, only six out of the 23 ICISTEM patients have received cells from HIV-immune donors. Are the ICISTEM patients cured? We don’t know. Although the researchers have failed to find a single copy of HIV DNA in one million resting reservoir cells in some of the patients, the test will be to take these patients off antiretroviral therapy (ART). We have had disappointments before, as when HIV reappeared, after a delay, in the so-called ‘Boston patients’ even though their DNA became completely undetectable. Salgado told the Cure and Cancer Forum that treatment interruptions were planned for early next year. Then we will find out if Timothy Ray Brown finally has company. 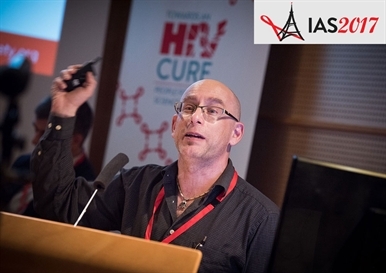 Finally, the limiting factor on cure research may not be the complexity of the science involved or the current lack of one strategy that looks more promising than others, but the reluctance of people with HIV to come forward for HIV cure research. While previous surveys have shown a general altruistic interest by people with HIV in volunteering for cure research, when possible consequences are spelled out, interest declines. Michael Louella of the University of Washington AIDS Clinical Trials Unit has done research into community attitudes towards cure research. A lot of people with HIV, he said, are currently happily on one-pill-a-day therapy and stable and do not want this disrupted. One question that came up at the Cure and Cancer Forum and its summary symposium was whether current HIV cure research is relevant for 'typical' chronically infected, stable people with HIV. The current state of the science means that these chronically infected people are not the ones cure researchers seek out: the people they need are cancer patients or people with cancer in remission, people failing ART or 'controllers' who have never needed it, the few treated within days of infection, the few who have voluntarily stopped ART, and the diminishing number who are virally suppressed but who fail to mount an immune recovery. Not only were there relatively few of this kind of patient around, and they might not be at all typical of most patients with HIV, but people's willingness to come forward and be HIV cure research guinea pigs may have been overestimated in the past, Louella said. Louella said that surveys of opinion about HIV cure research had pretty consistently found that people had ‘red lines’ that would deter them from entering a study. These included clinical events such as the reactivation of genes that could cause cancer, CD4 count falls, and the possibility of drug resistance; uncomfortable procedures such as lumbar punctures (spinal taps) and bone marrow biopsies; and side-effects ranging from vomiting to hair loss. “People are loath to lose their hard-won viral undetectability,” Louella commented. In addition, the cure field itself is unclear about its goals and procedures. What should the ethical policy be on ART interruptions? How do we translate suggestive results from small groups of exceptional patients into larger studies? Is there a way of determining the most promising research avenues and eliminating those that are less fruitful? And how do we deal with the media, who threaten to create popular disillusion by portraying every small research advance as a “cure breakthrough”? While that breakthrough will one day happen, the road towards it might be slower and less direct than many had thought when cure research was first focused on as a possibility.